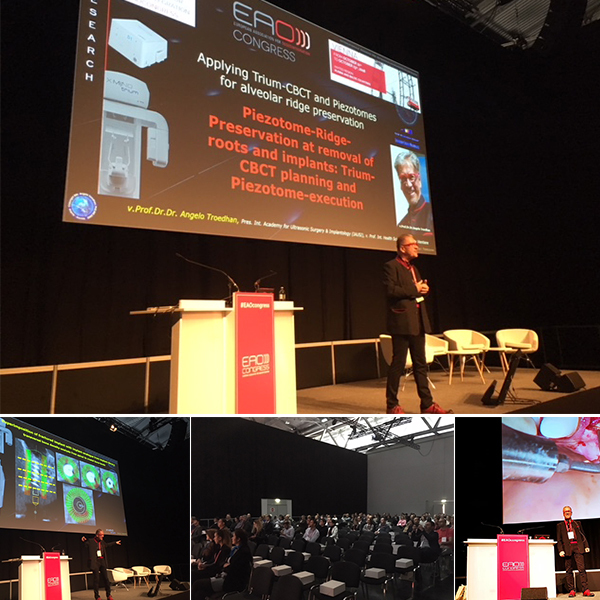 A successful Symposium & Workshop at EAO! We were very happy to take part in the EAO congress held in Vienna. Our symposium was a great success. We had 200 participants who actively listen to Prof. Dr. Angelo Troedhan lectures about Piezotome Surgery and X-Mind Trium CBCT diagnosis. Piezotome® Cube allows a bone-lossless removal of teeth, roots and implants leaving the bony socket-walls fully intact. Preservation of the original anatomy and dimensions of the alveolar crest for immediate or later implant-insertion is mandatory. TRIUM-CBCT 3D, high precision: predictive bone-quality assessment for implant planification. 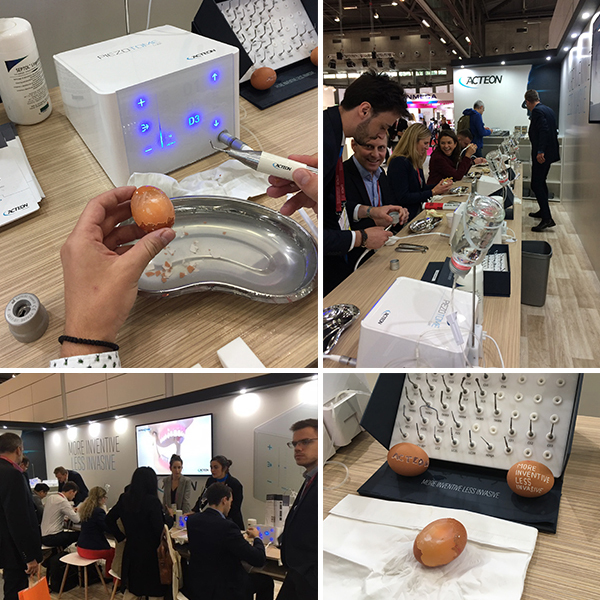 At least 250 people came to our on-booth workshop to learn and to try our Piezotome® Cube. Our Sales and Marketing teams guided and gave precious advices to all workshop participants.